Del now has End Stage Kidney Disease and desperately needs a life-saving donor kidney, blood type O. You can make a difference. Please help spread the word to your family members, friends, co-workers, or any groups you are affiliated with. The more people we reach the greater the probability we can find a suitable kidney match for Del. Del is registered with RJWBarnabas Health (NJ) and a few other hospitals. Please specify Del’s name when you call so that your donation goes to him. We are asking for your help in reaching the masses, a lot of reaching out is done via emails and social media, it CAN reach the right person who can save Del’s life (it’s happened before). Please email it, post it on Facebook, tweet it on Twitter and all of your social media sites. Tell your friends about it any way you can. Before Howard got sick I had never considered living donation. Like most people, I knew so little about the process – and how life-changing it could be for someone I love. But what if more people understood that they had the power to save a life, Chelle? During National Donate Life Month, which highlights the need for organ donation across the country, I’m reaching out to share my story in hopes that it will inspire others – even just one person – to take action. Please make a gift, of any amount, to the National Kidney Foundation before April 30th. Diagnosed in 2008 with Amyloidosis, a rare blood disease that caused his kidneys to fail, my brother-in-law’s quality of life – and his options for treatment – were quickly running out. I watched as this once healthy, active and vibrant person struggled to cope with a rigorous dialysis regimen. Little did he know, I had already begun the testing process. I didn’t want to get Howard’s hopes up, and I knew that he would have said no, so I began my testing largely in secret. Being evaluated to become a living donor was eye-opening; I assumed you had to be 25 and in the peak of health to donate – a misconception that I’m sure many Americans have. Throughout the process I never felt pressured. In fact, the doctors and social workers continually reassured me that I could change my mind at any time. My well-being, both physical and psychological, was always their priority. 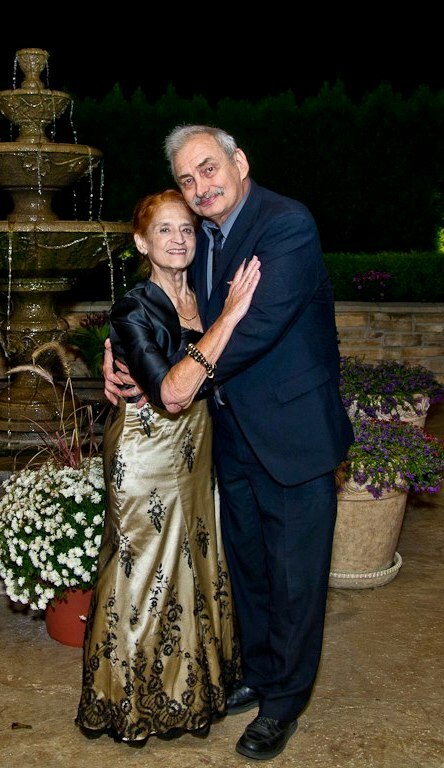 On June 25, 2013 I participated in a swap program through Mount Sinai Hospital and donated my kidney to a complete stranger so that Howard could also receive his perfect match. Swap, or paired exchange programs, are so valuable because they allow patients to receive a kidney even when they aren’t a match for their intended donor – and get off the wait-list sooner. But more people need to know that options like this exist when their loved ones are suffering. 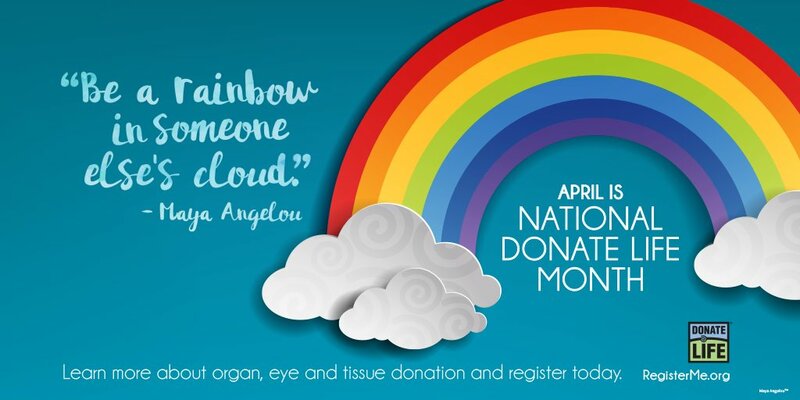 I hope you’ll consider making a contribution to NKF in honor of Donate Life Month, supporting their ongoing efforts to make more kidneys available for transplant. Del needs a Type-O kidney, but YOU don’t have to be Type-O. and YOU CAN SAVE TWO LIVES. Happy Birthday to Del ~ 2019! can celebrate many more special days with him. Please get tested to see if you are a match. Del Du-Bois is registered with RENEWAL (a remarkable non-profit organization) and hospitals throughout the area. To learn how you can save a life or for more information about kidney donation, please call (718) 431-9831 EXT. 209 or email R9196@renewal.org. Del is also registered with RJW Barnabas Health (NJ), Tampa General Hospital (FL), and a few other hospitals. Please specify Del’s name when you call so that your donation goes to him. Del still needs a kidney. We need your help. Well here we are nearly two years after we started this web-page and years after Del began dialysis. Del has End Stage Kidney Disease and desperately needs a life-saving donor kidney, blood type O.
Renewal’s website is www.renewal.org. All inquiries to Renewal are strictly confidential and are without any obligation. They can also put you in touch with others who have donated a kidney and are willing to share their experience. All medical costs for evaluation and surgery are covered by the recipient’s insurance. Ancillary costs such as travel expenses and lodging, may be covered by Renewal. Please give Del Du-Bois’ name as the recipient. Del is registered with RJWBarnabas Health (NJ), Tampa General Hospital (FL), and a few other hospitals. Please specify Del’s name when you call so that your donation goes to him. Wishing you an early Happy Thanksgiving! The month of November is a time when we all take stock of the things we have to be thankful for — by the time we reach the Thanksgiving holiday many of us are planning our “What am I thankful for…” speeches for around the dinner table. I hope your lists are long and wonderful. My family would love to include that Del has received a kidney. Del has been living with only one kidney since 1968 (yes, you only need one kidney! ), but several years ago he was diagnosed with Polycystic Kidney Disease (PKD). Del now has End Stage Kidney Disease and desperately needs a life-saving donor kidney, blood type O. Please help spread the word to your family members, friends, co-workers, or any groups you are affiliated with. The more people we reach the greater the probability we can find a suitable kidney match for Del Du-Bois. Today, September 5, is Bobi’s birthday. “Today is my birthday. I have received many warm well wishes from friends and family. I am very grateful for all of the wonderful expressions for continued health, happiness and much joy. However, the gift I truly desire is a viable kidney for Del, my partner, my husband, father of our children, and love of my life. Please help save Del’s life. He desperately needs a kidney and has been on the kidney transplant list for over 4 and a half years. The waiting lists for transplants are excessively long and hardly enough to meet the needs. I am asking for each one of you to please spread the word to family, friends, co-workers and anyone else who will listen that we need someone to donate a kidney for my husband, Del. If we can make this request go viral hopefully we will find a kidney match. Please share https://kidney4del.wordpress.com/ with everyone you know. are waiting for a kidney donation. A kidney transplant is a surgical procedure to place a kidney from a living or deceased donor into a person whose kidneys no longer function properly. Currently, 100,000 people in the United States are on the national transplant waiting list for a donor kidney. A kidney transplant is used to treat kidney failure (also called end-stage renal disease, ESRD), a condition in which kidneys can function at only a fraction of their normal capacity. People with end-stage kidney disease need either dialysis or a kidney transplant to stay alive. It’s important to know that dialysis only filters out waste — it can’t replace other functions of your kidneys, such as making hormones. Dialysis only does 10-15% of the work that a healthy kidney would do. For some people, dialysis is the only option for treating kidney disease. For others, dialysis keeps them alive until a kidney is found for a transplant. Because a person can live with only one kidney, living donation offers another choice for some transplant candidates. The average waiting time for a donor kidney from a deceased donor is 3 to 5 years. A kidney from a living donor offers patients an alternative to years of dialysis and time on the national transplant waiting list. 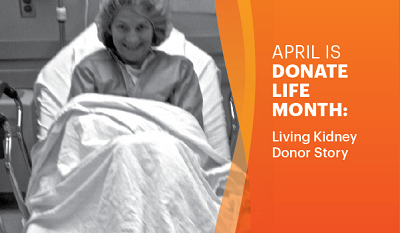 With living donation, a patient may be able to receive a transplant in 1 year or less. After donation, the living organ donor’s remaining kidney will enlarge, doing the work of 2 healthy kidneys. Please help save Del’s life, please give the gift-of-Del to his family.